SMI Delta Force Braking System is in a class by itself. 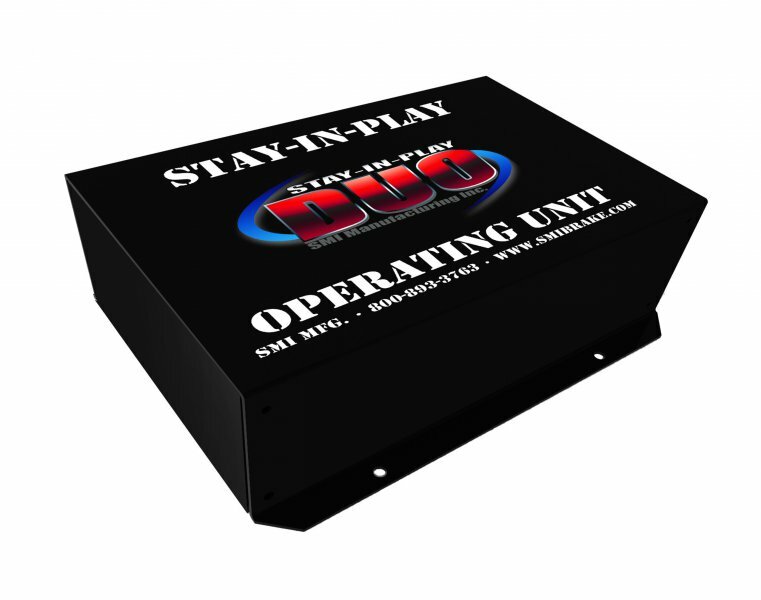 Many benefits and patent pending features make this Tow Vehicle Braking System one to consider. If you have more than one tow vehicle, then it makes sense (and cents) to use a braking system that will fit both vehicles and not have to duplicate the installation. Knowing what your braking system is doing is a principle of safe RVing and with the Wireless CoachLinkTM you will know what is happening when the tow vehicle is braked. Check out the Product Information Link below, read all about it and look at the simple installation, then compare it to the competition. We're confident you will see the difference and go with the Force! - Delta Force. 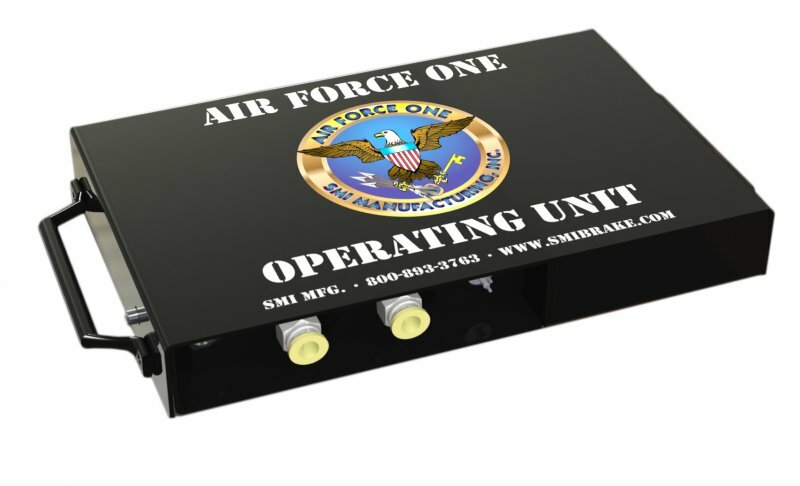 The Air Force One Braking System is utilized with towed vehicles that are towed by an air brake equipped RV. If the coach has air brakes, then this is the braking system to use. This would include most diesel RV’s. **Some Provinces may preclude the final installation of the air lines to the coach braking system by anyone not holding a valid air brake license. 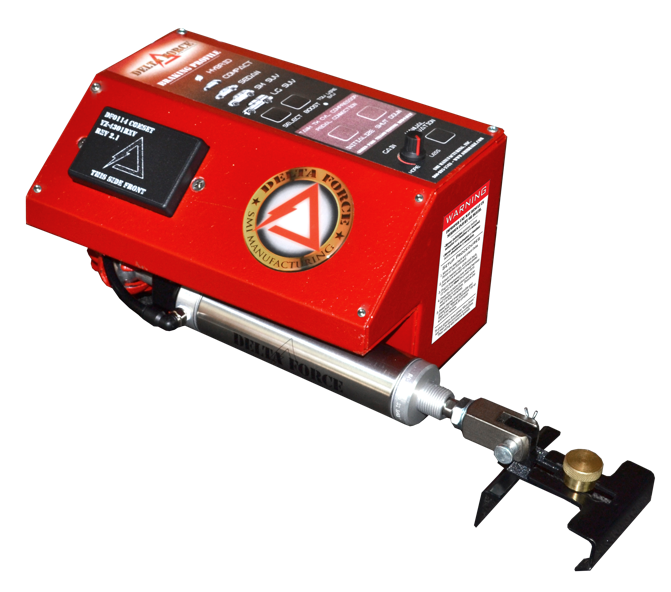 This braking system is utilized with towed vehicles that are towed by a hydraulic brake equipped RV’s. If the coach does not have air brakes then this is the braking system to use. This would include most Gas and Light Duty diesel RV’s. 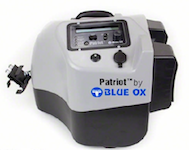 RV Parts Plus can supply any Blue Ox component. If it is not listed on our website, call us and we will be please to price the product for you. There are RVers that do not want to bother with installing a braking system, yet they want a simple to set-up, compact braking system that can easily be moved from vehicle to vehicle. That system is the RVi Brake. Other than installing a breakaway system, this unit is easily moved and setup. Simply lay it down on the floor in front of the Driver’s seat, clip the actuator onto the brake pedal, plug the 12 volt adapter into the 12 volt receptacle of the towed vehicle and push the green Auto-start button on the control panel. 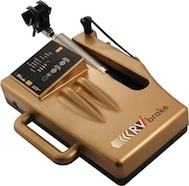 The RVi Brake’s One-Touch Auto Positioning System depresses the towed vehicle’s brake pedal to adjust itself and bleed off the vacuum stored in the power brake booster.